Ok so its not just me, I also sent a message to the adm awhile back and heard nothing also. Can anyone update their perfect pedigree? I have tried to update mine and when I go to save it just says syntex error so it wont let me make any changes or updates. 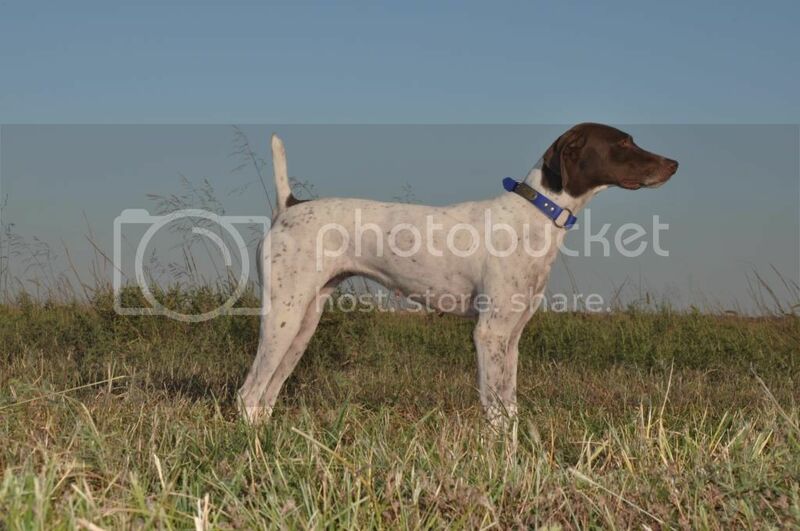 My little female Allie just won the GSPCA National Gun Dog Championship in KS for the second consecutive yr, what a great honor and special thanks to Blue Dawn Kennels and Keith and Robbi Gulledge. Manchester Iowa, I have a couple pups out of him and they look great on birds and run. Could be a inflamed gland, I had a GSP this year with what my vet called a oil gland in the top corner of her eye and had it removed. Thanks guys what a great 2014 trial season, Allie had 6 wins and a RU including the last two hr wins at the classic in Lincoln Ne and to top it off with the Hr win at the Nationals in Eureka. I wish I could give you the details but I was unable to watch my dog run, thats the breaks of being a high school football coach in the fall. I was told she had 5 finds in the hour and also a back of her bracemate and ran a great course. I believe Robbi said that they would be done this afternoon with the shooting dog, but not sure how many AA dogs they drew. I think the above post on Clown pretty much sums it up. I think it's funny people thought he was dead clear back in the 80s. Any word on the weekend trial and how many dogs they drew for the Shooting dog Championship that started today. From what I'm told they have 3 braces of derby to run this morning and then right into the AA as they were delayed a little yesterday because of the fog. The amt drawing I believe is tonight and will start sat. The shooting dog winner was Aussie with Gulledge and the RU I was told was Nell with Hongo. Mine was one of the ones that ran Wed and went bird less, on to the Great Plains next month. I have fed it and liked it but got harder to get in my area and the price went way up just to get it. Any news, did they start the shooting dog as I see the weather was pretty crappy there today and major ice storm tonight. So they are running the futurity then the AA as I thought someone mentioned above the other way around. How many days of each are they figuring? Congrats Hank on the win. I also have a young male pup out of Jake bred back to a litter mate of mine. Is it a spin off of Native dog food, as that stuff was expensive and I could never feed my dogs as thier stools were really loose. They got thru 7 braces yesterday. Temps taking a nose dive down there today as highs are only going to be in the 30s. Planned on leaving today but with windchill temps here in eastern Iowa at 35 below into tomorrow its not worth the risk hauling dogs and horses and taking a chance. Thanks, were running 3 in the amt, Allie, Sig and Dice so hopefully one of them will make us happy. My dog will be either running late today or very early tomorrow as shes in brace 7. Were heading down tomorrow to run in the AMT later and get out of this Iowa blizzard, Im tired of winter already.